It’s March 14. The 3rd month, 14th day. 3/14. Pi. Everyone loves pie, including the nerd set and so why not dub the 14th of March “Pi Day” to celebrate the coincidence of date and the circular calculations measuring 3.14159265. 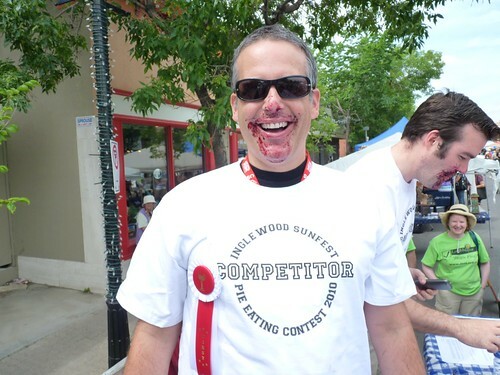 Saddle up to a tart for some dessert tonight and, if you’re really daring, try and do it without hands like I did at the Inglewood Sunfest Pie Eating Competition this past summer.